10 x € 29.10 / mėn. ? 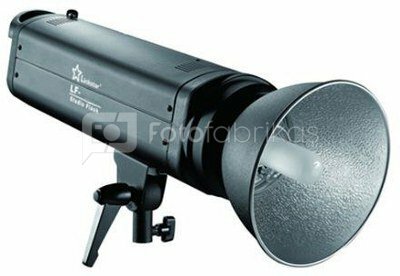 The LF-500L studio flash has 500Ws power and a modeling lamp with 250W power. The LF series by Linkstar are advanced and professional flashes for the demanding studio photographer. 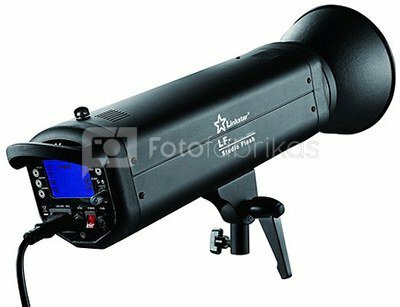 They offer everything you would expect of a professional studio flash, such as a fast recharging time, sturdy metal housing, professional bayonet-connection for accessories, a built-in slave receiver and a very accurate adjustability. 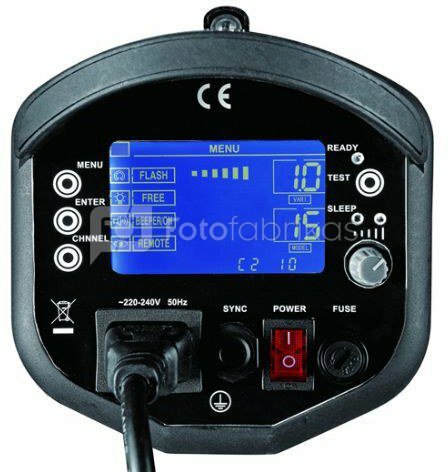 Of course, the modeling lamp can be switched on and off and its power can also be set proportional to the flash power. Also, the flash is equipped with an auto-powerdump function and protection from overheating. With the additional wireless remote control RC-2L, you can change settings such as flash power, when the flash is positioned out of your reach (e.g. at 3 meters height). 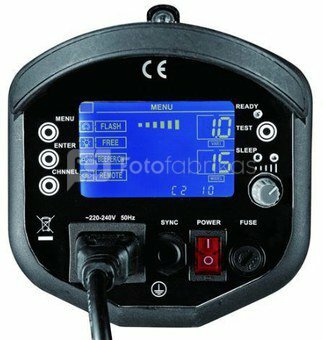 Furthermore you can control up to 10 different flash units. See "Optional Accessories". The bright, blue LCD-screen can easily be read. This way, you can trigger the flash on a flash of your choice. Most studio flashes flash immediately when the built-in slave-receiver detects another flash. But the LF flashes can be set to go off at the second and third flash as well. This way, you can use the pre-flash function of you camera flash.